High Tech concentrated electrical contact cleaner and corrosion inhibitor. Excellent for model railroad tracks, battery connections and other electrical junctions. Restores electrical conductivity and prevents sparking. High-tech concentrated track cleaner and corrosion inhibitor. Penetrates existing corrosion layers and restores electrical conductivity to all model railroad tracks. It eliminates arching and sparking to assure total layout integrity. 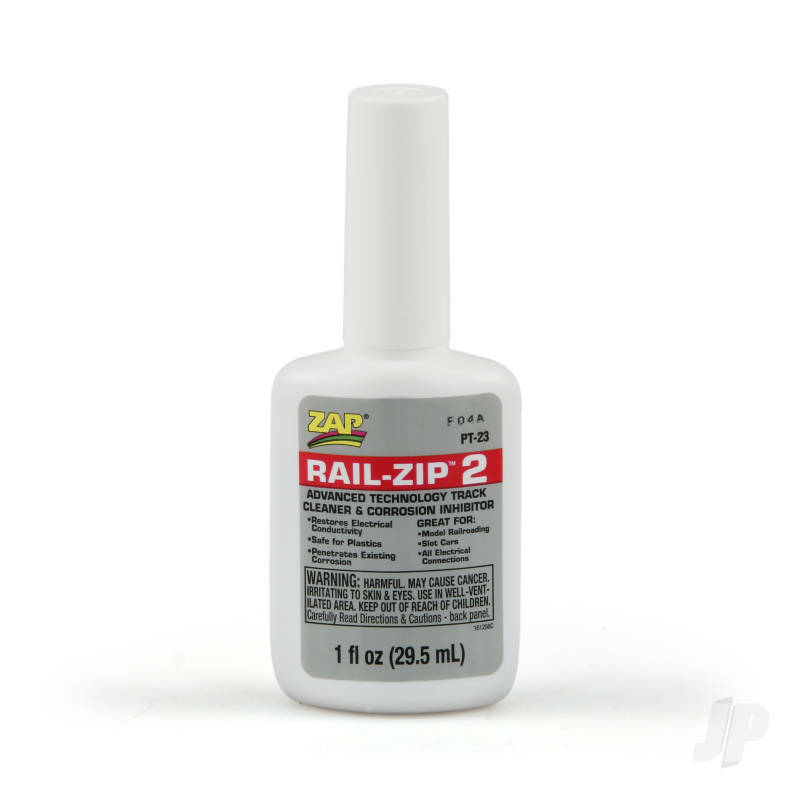 The uses for Rail Zip 2 extend beyond model railroading, anywhere you have electrical contacts and corrosion problems you can use Rail Zip 2. Auto and motorcycle electrical connections, plugs and fuses can remain trouble free making sure your new, classic or antique electrical systems wont cause problems. Outdoor lighting fixtures will be more reliable requiring less maintenance.